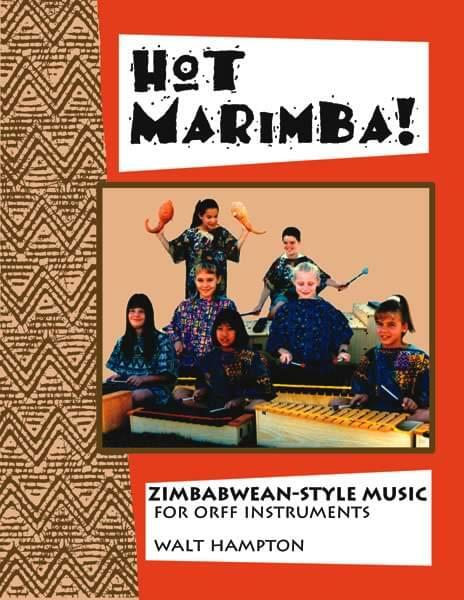 Percussionist/music educator Walt Hampton launches your upper elementary Orff instrument ensembles into the stratosphere with these nine original pieces, based on or inspired by marimba music of the Shona people of Zimbabwe. This is dance music, guaranteed to make your students beg to rehearse. Even the preliminary exercises will have your classroom buzzing. And the performance pieces will drive audiences wild! This powerhouse primer, influenced by the traditional music of Zimbabwe, will enhance your rhythm and ear training program, nurture students' improvisational skills and teach cooperative composition techniques. Start slowly, and be prepared to be blown away! An amazing performance by Walt's students from Marcus Whitman Elementary School in Richland, WA.